Why would you use a virtual pinboard? Well, there’s the obvious reasons, like collecting images in one place to help you plan a wedding, an event, a home renovation and so on. However, it’s the social sharing component of Pinterest that makes this growing network interesting for businesses. There are some great potential opportunities in having your business represented on a visually based platform currently generating over 400 million page views per month! 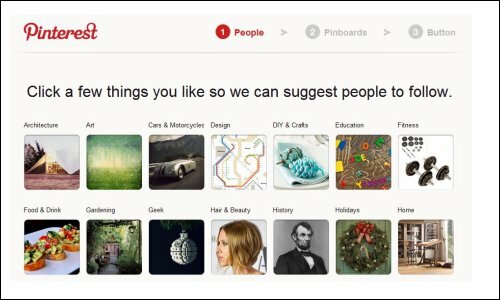 We’ll cover some business benefits and strategies of using Pinterest later, but for now, here’s how to set up a Pinterest account and get started on this increasingly popular social network. For now at least, Pinterest is an “invite only” application. You can either request an invitation by clicking the red “Request an invite” button at the top of the Pinterest website, where you’ll be asked to enter an email address for the invitation to be sent. 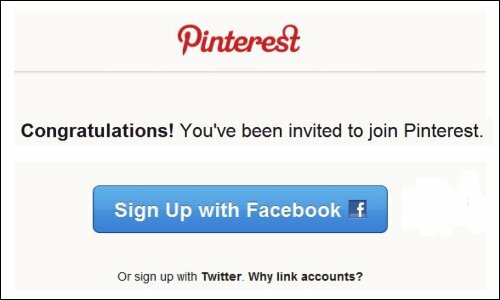 Alternatively, you can ask any of your friends who already have a Pinterest account to email you an invitation. Once you receive your invitation, click on the link you’ve been sent and you’ll be asked to sign in with either Twitter or Facebook. This makes it easier for Pinterest to find and suggest friends for you to follow. You will still be asked to create a Pinterest account name, password, and associated email. 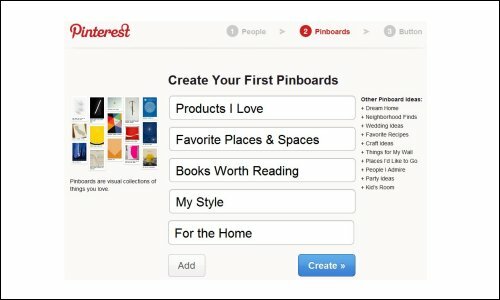 A Pinterest account image will be created from the profile image of either Twitter or Facebook, depending on which network you chose to log in with. Pick some topics, then click the blue “Follow People” button at the bottom of the page. You’ll then see some static, non-clickable images of people (and their Boards) that you are following, based on the selection of topics you just made. You can “Like” an individual image (or “Pin”) using Pinterest’s own Like button, or you can Like it with the Facebook Like button at the side of the Pin’s page. You can tweet the Pin to your followers, email a link to your friends, and even “Repin” an image to one of your own Boards. Anyone familiar with other social media platforms like Twitter and Facebook should have no problem finding their way around, and making the most out of Pinterest, in no time at all. 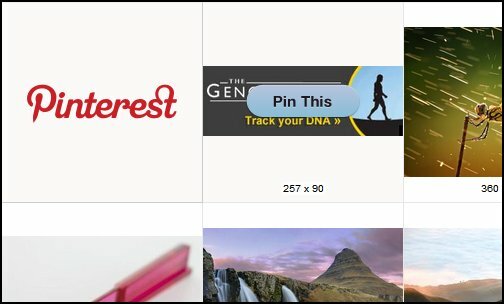 Judging from the buzz that this platform is generating, Pinterest seems to hit on a winning formula; it combines the popularity of images with social sharing. 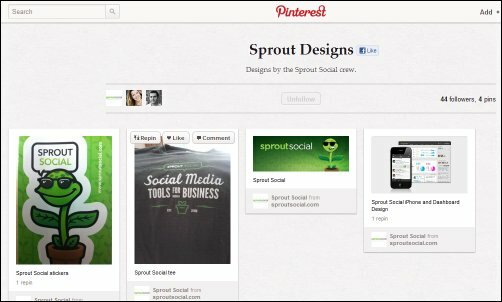 As more and more people are finding out about this platform, the membership base is increasing rapidly, with many people publicly announcing their affections for Pinterest and calling it “an addiction.” With this in mind, keep Pinterest on your radar (we’ll do the same) and maybe even create a few pins of your own to see what this platform has to offer. Do you have a Pinterest account? Connect with Sprout Social on Pinterest and leave a link to your Pinterest account in the comments below.